The BoAt Nirvanaa comes with an MRP of Rs 1,990 but is available for sale on Amazon for Rs 999 or lesser. The earphone comes with a very high-quality packaging and includes a storage case to help carry the earphones on your trips. The BoAt Nirvanaa Uno comes with a pretty good mixture of both style and performance. 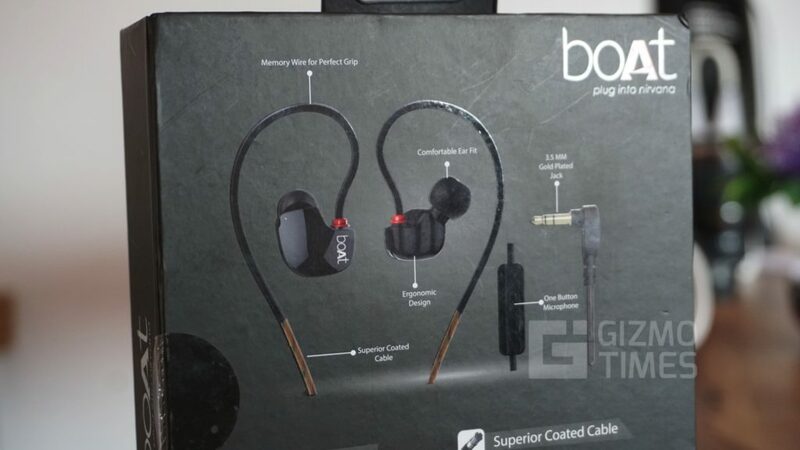 The packaging on the earphones is pretty good and the headset also comes with a very good build quality. On opening the packaging, you find the earphone curled in the foam and a hard storage case below it. The storage box comes with firm locks and contains extra ear tips and the warranty information. From the look of it, we found the cable to be built with intrinsic detail and the cable looks very sturdy. This gives the BoAt Nirvanaa Uno a very confident approach while using it. 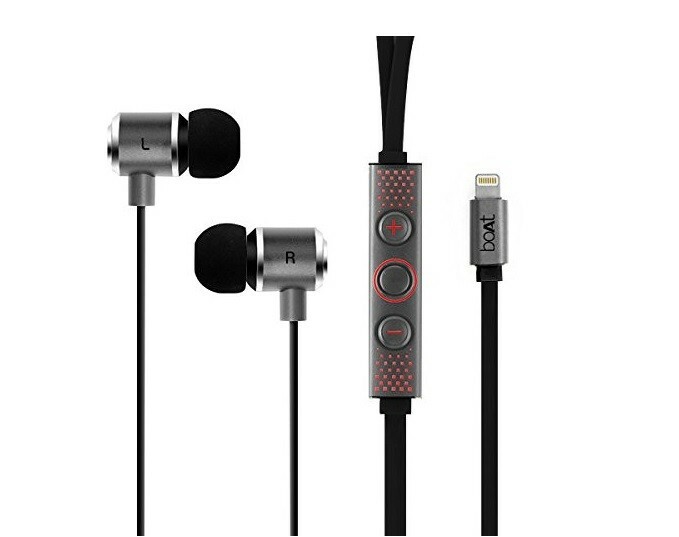 The earphone jack comes with an l-shaped connector that makes it very convenient for connection. The headset connector is built with quality and doesn’t offer a fumbled experience. The in-line remote controller comes with a single button control design to offer simplicity and also has a microphone to facilitate calls over the hands-free. The earbuds curl around your ears and fit deep in your ears, this not only adds comfort by reducing the stress on your ear canal that would otherwise be holding the earphone but also improves the retentivity of the earphones in the ear while using it for sports activities. 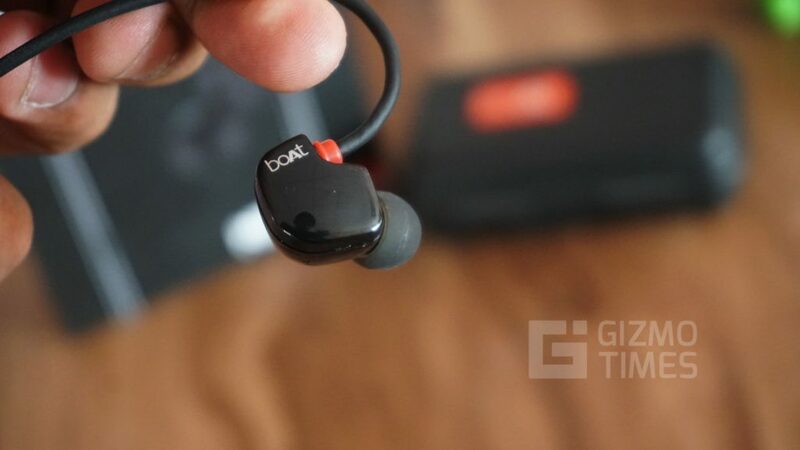 The driver units in the earphone shell itself look very bulky but the weight is pretty low and the headset remains in the ear without much trouble. The shell of the earbuds is made up of plastic to reduce the weight, while this offers a suboptimal quality feel, it helps reduce the weight which intern helps in overall comfort. The plastic shell comes with a glossy black finish that is a major fingerprint magnet. The mic quality is pretty good and we tried making a few calls to test it out, the listener on the other end gave us a positive review on the sound clarity and detail. The single button design can be used to take or reject calls and also be used for media control while music is being played. 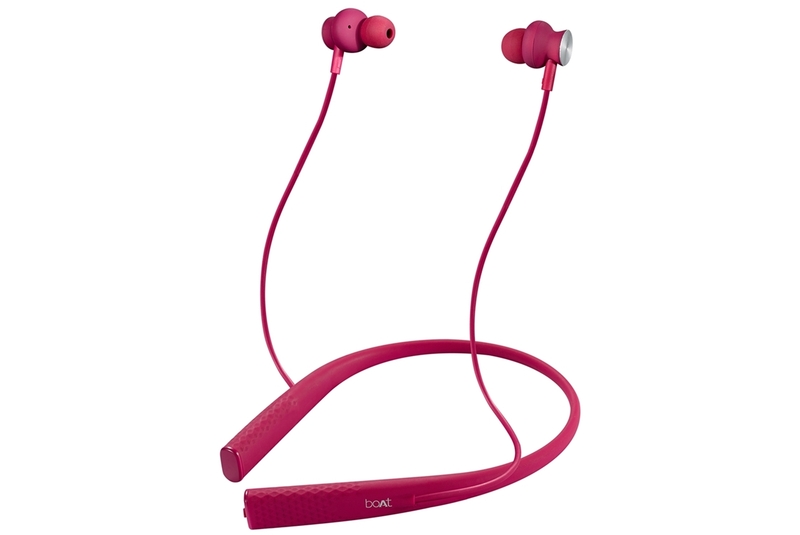 Coming to the actual earphones, the headset comes with a 7mm dynamic driver on each earbud that provides pretty good music quality. The impedance of the headset is 16 ohms and the frequency response range all the way from 20 to 20KHz. We first tested the headset on the Redmi Note 5 Pro which we were reviewing at the same time and the quality took us by a surprise, not in a good way. The sound quality was far from optimal and the volume levels were low, after continued testing we realized that it could be an issue with the smartphone and thus restarted out BoAt Nirvanaa Uno review using a OnePlus 3. The difference in sound quality was immediately observed and we immediately liked the headset, to begin with. The overall output on the headset is pretty good with a clear and distinct audio band, the BoAt Nirvanaa Uno offers very good bass. In some songs we found the bass to be overpowering which is a personal choice to like. The BoAt Nirvanaa Uno reaches very high levels of volume and can be used even in the noisiest of environments comfortably. 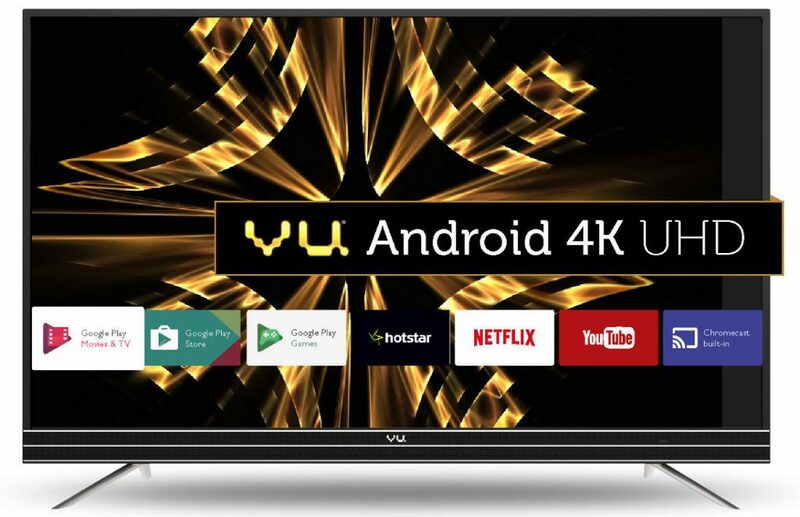 We noticed no crackling of sound or any sorts of distortion even after ramping up the volume to the maximum levels. 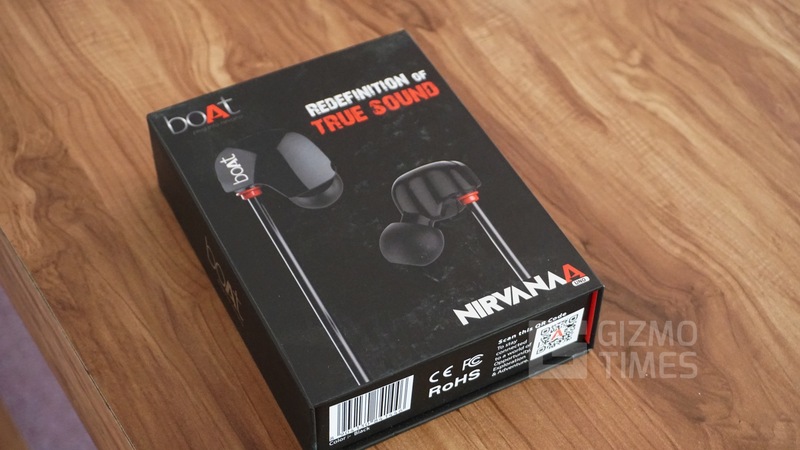 The BoAt Nirvanaa Uno might be a good choice if you enjoy listening to bass heavy music at loud volumes, however, the treble response on the headset wasn’t the best and there still is scope for improvement. The headset is a pretty good one for the price it is currently available for on Amazon. 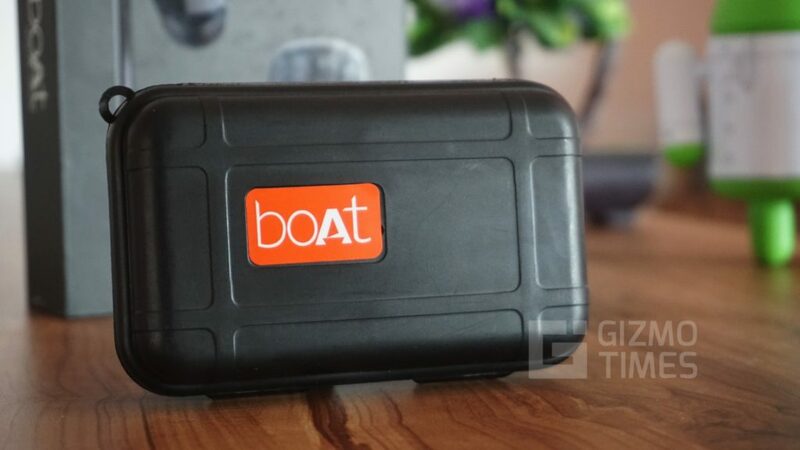 The carry case that the BoAt Nirvanaa Uno comes with, is a very useful one and helps carry the headset without causing any sorts of damage over an endured usage period. Just got the delivery of this headphone. But I am disappointed with the package quality. My friend has bought the same headphones sometime back and his package quality was too good. He even got a carry case along with these headphones. Looking at such a good package and product I bought this earphones. But I dint got any such wonderful package and neither the carry case even though I paid the same amount. It was a disappointment for me.